It’s On Us is a national campaign aimed at changing the culture surrounding campus sexual assault. It is a movement aimed at fundamentally shifting the way we think and talk about sexual assault. It’s a rallying cry, inviting everyone to step up and realize that the solution begins with us. Launched in September 2014, “It’s On Us” works to educate, engage, and empower students and communities across the country to do something, big or small, to end sexual assault. The campaign has three core pillars—consent education, increasing bystander intervention, and creating an environment that supports survivors. 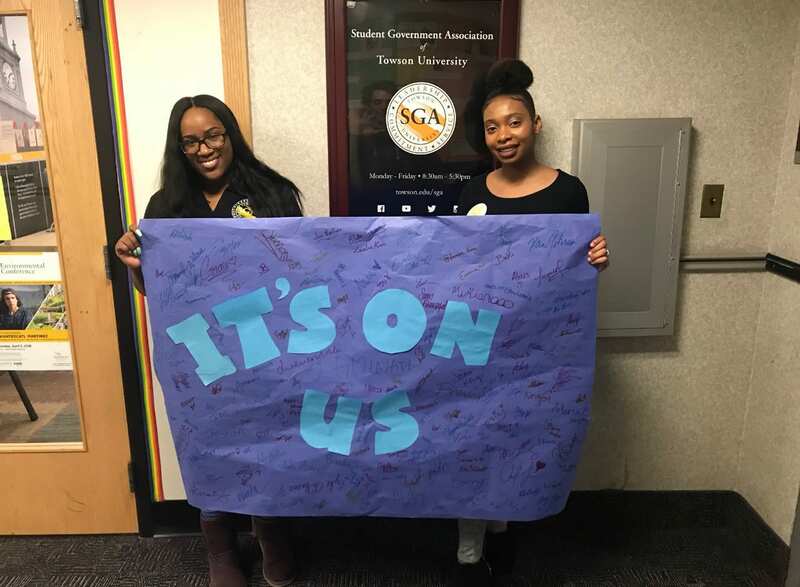 SGA’s Department of Health & Wellness has partnered with “It’s On Us,” to put on a week full of events aimed at educating Towson University students on the culture surrounding campus sexual assault during April 1st-4th. It raises awareness for sexual violence and healthy sexual relationships. Participants are encouraged to show their support for survivors of sexual assault by writing positive notes. Day one entails students signing a pledge to take action when witnessing sexual violence, receiving It’s On Us shirts, and taking pictures in them to solidify their pledge. For day two, the knowledge of the student body will be tested by asking two questions: What is your definition of sexual assault? If you saw someone being sexually assaulted who would you contact? We will then move forward by explaining the different resources available within and outside of TU. Day three will better help understand what bystander intervention means, what it looks like and how to help someone experiencing sexual assault. Students will gain bystander intervention tips, answer questions, and share their experiences. Day four, in collaboration with the TU counseling center and Office of Inclusion and Institutional Equity, will provide information to students about what TU offers for survivors of sexual assault and notifies students on what is consent and what isn’t. 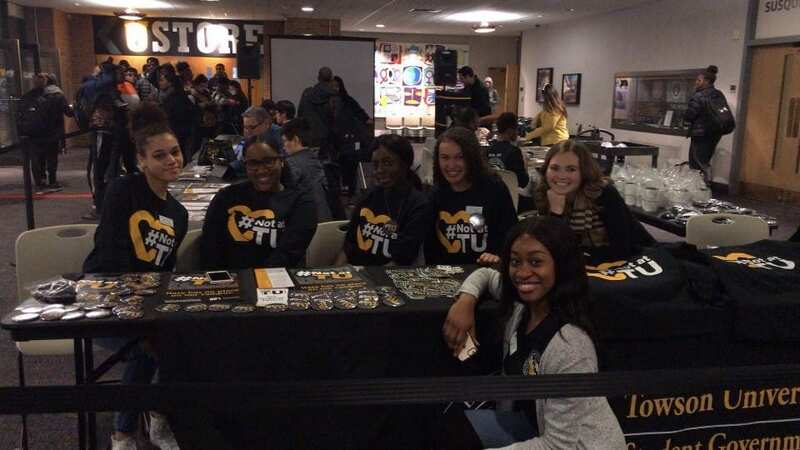 The Know Your Rights campaign is an annual event held by SGA to give students the opportunity to learn about their rights and strengthen their awareness. 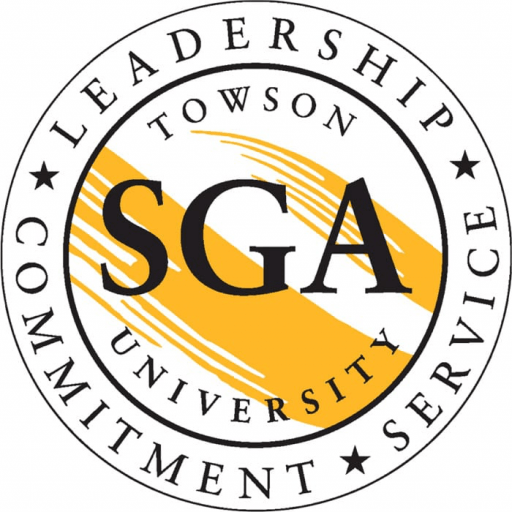 The Student Government Association (SGA), and various other Towson University departments and organizations, will be tabling to promote and reinforce the specific rights students have. The SGA will be tabling with Disability Support Services, The Office of Student Conduct and Civility Education, TU Dreamers and more! As one of the biggest events put on by the Office of the Solicitor General, this event will have tons of food, activities, music, and promo! Day 1: Introduce students to the Office of the Solicitor General. Urges students to look into resources SGA has to offer, and promote the responsibilities of the OSG. Volunteers can also talk about the ACLU information, such as the do’s and don’ts of protesting in school or rights on social media. Promo for this day include T-shirts, KYR stickers, and portable chargers. The food served will be Pizza. Day 2: This day we will be passing out information cards. We will also be inviting TU dreamers and the OSCCE. These groups can give out helpful information pertaining to their purview. The OSCCE will be talking about the process of student conduct appeals and the rights to due process. This day we will have sandwiches and drinks from Black and Gold. We will also be giving out portable chargers and laptop camera covers! We hope to see you there, and, most importantly, we hope to teach you something valuable that could help you or a friend in a time of need. 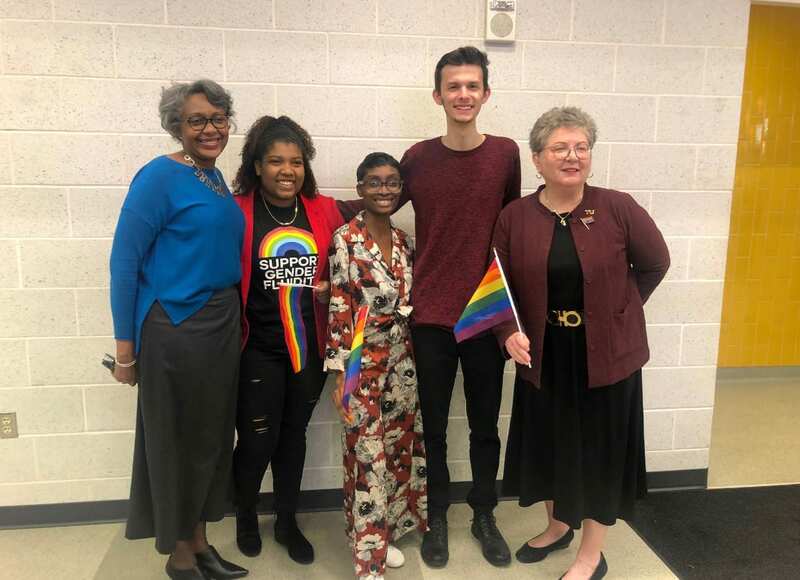 Pride Week celebrates the LGBTQ+ community, spreading awareness and advocating for the fact they have a home here on Towson University’s campus. While we celebrate those, who are proud of their part in this community, we also celebrate and support those who may not be as proud. We will be holding daily events from April 22-27th from the hanging of the LGBTQ+ Flag, to performances and various knowledgeable games, as well as a special guest who will speak out about their experience within the LGBTQ+ community. Pride week will be giving a safe environment for everyone within the community to learn about each other and share individual experiences to inspire others, and for the ones outside of this community a chance to understand and support the Pride of their fellow Tigers. SGA will be working with Towson University Organizations such as the Queer Student Union (QSU), In the Life, Gender Blur, Center for Student Diversity (CSD) and Student Activities to bring this event to life!